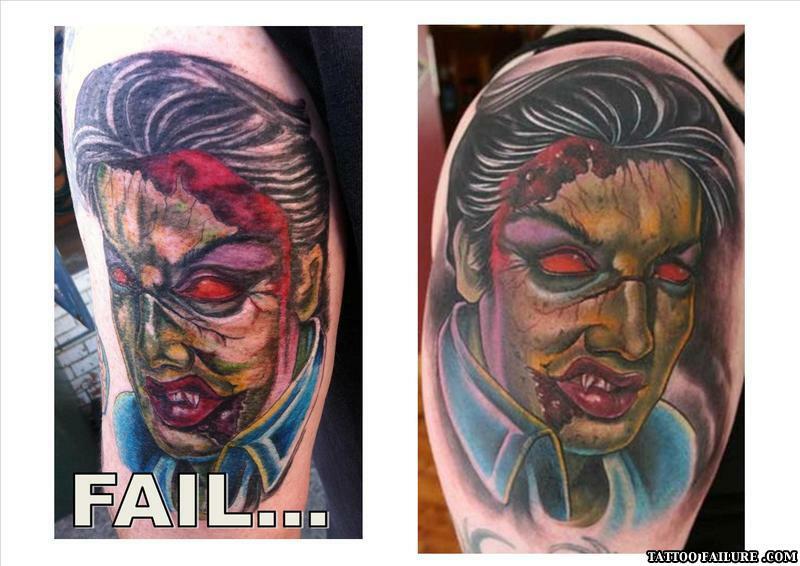 Vampire Zombie Elvis? Nerds shouldn't get tats. To me, the failed Picture (left) Looks better than the right. What's the difference between a cat and a dog? They are different species... do i really need to explain the difference? ?